As its name implies, the Four Seasons - Villa Gardenia at Hill Estate sits like a perfect bloom among a sea of greenery. Tucked into the hillside and surrounded by mature palms and tropical growth, it is a one-bedroom hideaway ideal for a honeymoon or romantic retreat. Though it is private and full of excellent amenities, it is also part of a premium resort, making it a wonderful place to savor every possible luxury. Set along the sugary sands of Pinney's Beach on the gorgeous island of Nevis, in St. Kitts and Nevis, the Four Seasons Resort is an authentic Caribbean paradise. With seven gourmet restaurants, signature dining experiences, children's and family activities throughout the day, three pools, tennis, water sports, a fitness center with classes each day, world-class golf, outdoor spa treatments, and specialized travels throughout the island - including trips up the island's volcano, it truly offers something for everyone. However, its world-class services and amenities also make it the ultimate luxury escape too. 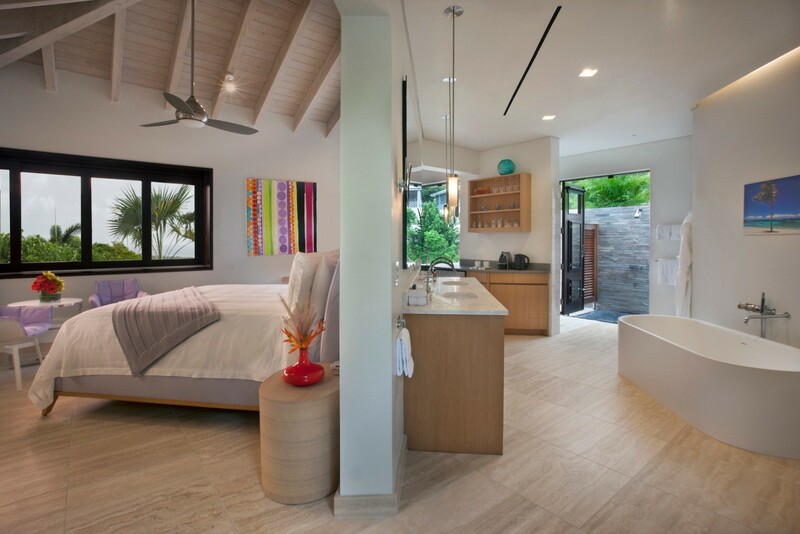 Designed in a contemporary yet welcoming style, the villa features a nice blend of indoor and outdoor spaces. The focal point for many is the stunning, modern plunge pool. Raised on a small platform, it offers a waterfall-like feature and will become a treasured spot to stargaze or toast sunsets. Adjacent to it is the large terrace that features a full sundeck that leads to your great room. This is an open floor plan living space with windows gazing out towards the scenery and featuring your king bed, a dining niche, and a fully-equipped kitchen. 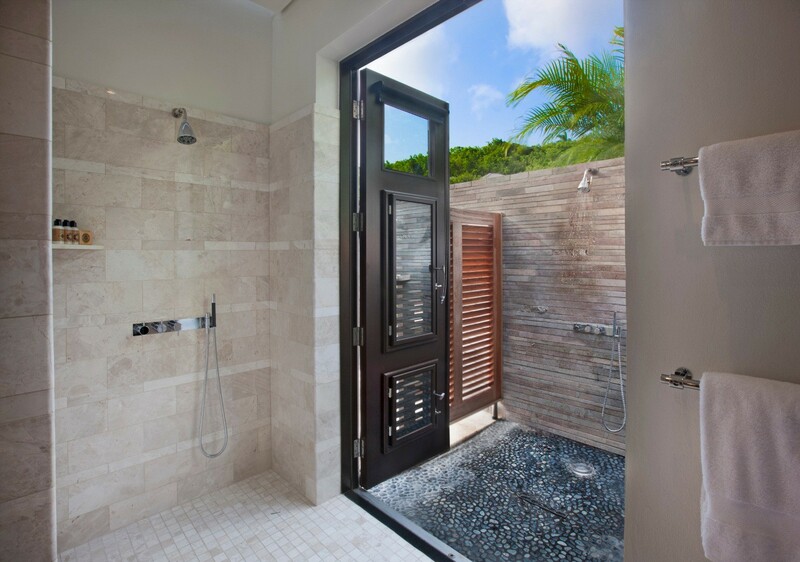 The ultra-romantic bathroom offers an outdoor shower with stone surround and a wonderful, free-standing tub. When you want the most private and exclusive spot for your honeymoon or a romantic getaway, the Four Seasons - Villa Gardenia at Hill Estate has it all. For larger group, the villa can be combined with sister villas Villa Eternity at Hill Estate (4 bedrooms) or/and Villa Utopia at Hill Estate (2 bedrooms), contact us for applicable rates. Please note, during the Holidays, Villa Gardenia at Hill Estate is only sold with the sister villas as a 7 bedroom estate. Bedroom 1: Master bedroom with a king-size bed, dressing room, access to the veranda and en-suite bathroom with bathtub, outdoor shower, double vanity and WC. 2 guests maximum.